Visit our seed shoppe and buy with confidence. We’ve carefully chosen a large selection of seeds from quality companies to fill every need. All of our seeds are non-gmo and many are certified USDA organic. 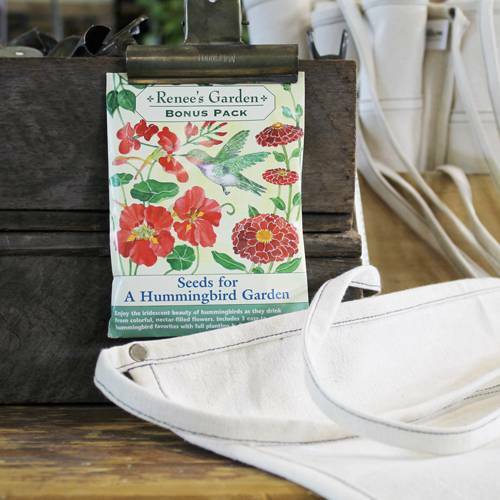 We carry Renee’s Garden brand, which includes an organic line of sprouts; Botanical Interests; Burpee non-gmo vegetables and flowers; and organic vegetable & herb seeds from Seattle Seed Company. If you’re palate longs for Asian-style vegetables, explore our line of Kitazawa seeds. Of course, we also have our own deep-rooted line. Peppers of the World and Roundstone Native Seeds complete our extensive collection. In addition to a staggering variety of seeds, you’ll also find an extensive collection of roots, including several different varieties of onions and potatoes, such as Yukon Gold, Kennebec, Irish Cobbler, Viking Purple and German Butterball. If it’s color you’re longing for, choose from among our seasonal bulbs to bring some vibrant color to your home and garden. Summer bulbs include gladiolas, dahlias, lilies, caladium, ranunculus, cannas, calla lilies, and more classic and new favorites for summer garden drama. We also have elephant ears bulbs that rival an elephant in size…now that’s a statement in the garden! In the wintertime, choose bulbs for forcing indoors, such as ready-to-go amaryllis and paperwhite narcissus, hyacinths, tulips, daffodils, and crocus. There’s no reason not to enjoy color in the cold of winter.